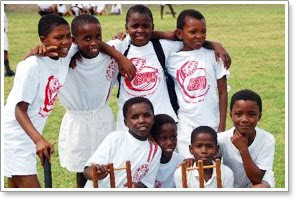 Cricket South Africa (CSA) is to change the sponsorship of its entry into the game for boys, girls, administrators and coaches – mini cricket. 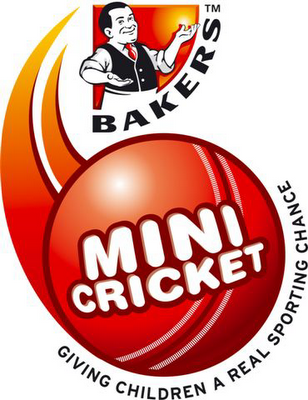 In a statement issued today, CSA announced that Bakers’ 27-year association with Mini Cricket will end..
CSA CEO, Gerald Majola, said: “It is with much regret that CSA announces that the contract with National Brands Limited, through its brand Bakers Biscuits, will not be renewed this year. “Over many years, we have together pioneered the way for children, boys and girls, from all communities to gain entry into the game through Bakers Mini Cricket. “Administrators and coaches have also been introduced to the game in this way and have paved the way for children to have fun and to progress into first-class players. “There has been an accelerated growth of cricket in South Africa and CSA wants to harness this growth in terms of our strategic plan for South African cricket in the future. “The expansion of the game, with mini cricket at the heart, is essential to this strategic plan. Consequently, we have secured a long-term partnership with a major international brand to assist with mini cricket in this regard and an announcement will be forthcoming soon. “History will record the critical role that Bakers has played in developing South African cricket to this point, and CSA will always be grateful for this”. In a letter to CSA, David Hood, Managing Director of Bakers, , said: “While we remain disappointed that our relationship with Cricket South Africa has come to end after an association of 27 years, we acknowledge and accept the direction that CSA has decided to take. “It has been a privilege for NBL and our Bakers’ brand to be associated with CSA and to be given the opportunity to partake in the personal and sporting development of the youth. “We will always look back proudly on our association with CSA, the very committed coaches and administrators that brought Bakers Mini Cricket to life and the young cricketers themselves”.